Fragrance Flowerz’ creative mission begins with incorporating your vision throughout the design process, and tailoring each event to adequately reflect your style and personality, allowing us to consistently create moments in time that speak to the essence of you and your celebration. A wedding day is one of the most special and exciting occasions in one’s life; and one strives to make it a memorable event, from start to finish. 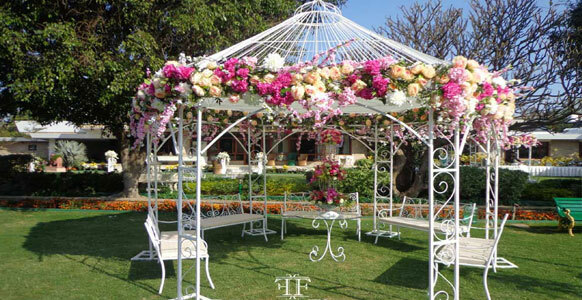 Fragrance Flowerz will help you make this day special by making your dream wedding come true - that is our motto. 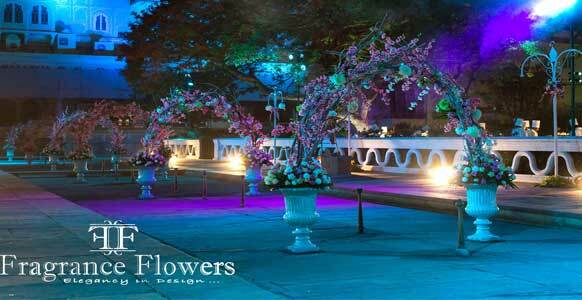 A global network of trusted Flower suppliers enables us to install custom-designed elements onsite in a timely way. 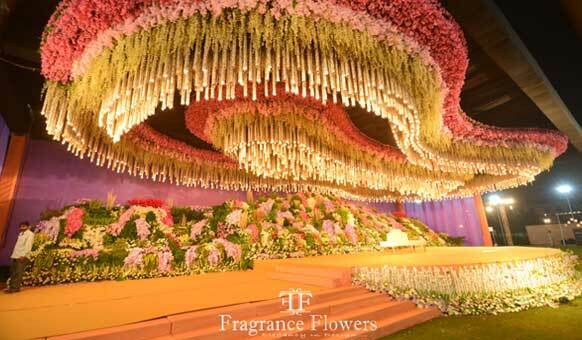 Fragrance Flowerz specializes in large-scale events for individual and public clients. Our in-house team of designers and Florists creates environments that combine advanced technology with refined craftsmanship. Fragrance Flowerz a leading floral designer in India, has been long associated with good quality flower suppliers across the globe. our flower procurement is done from various countries like Holland, Columbia, South Africa, Thailand and from various parts in India. fragrance flowerz, the only Indian name at par with international flower brands in both quality and designs provides one-stop solution for all flower requirements, for floral decoration in weddings, corporate events and individual parties.